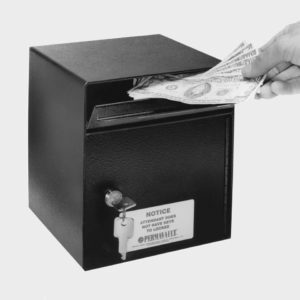 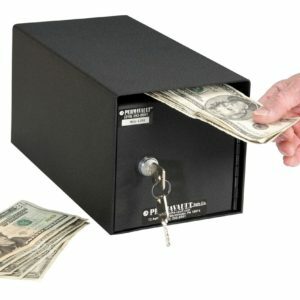 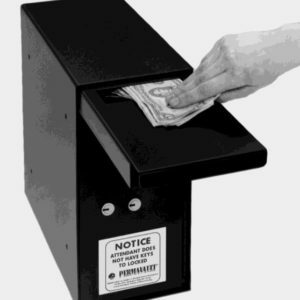 This Counter Drop Cash Protection Drop Box is made in the USA. 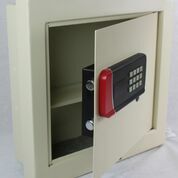 PRO-1206-M Medeco high security lock with two (2) keys. 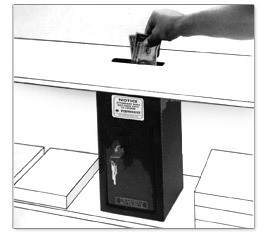 Through the counter installation 12″ x 6″ x 6″ 16 lbs.